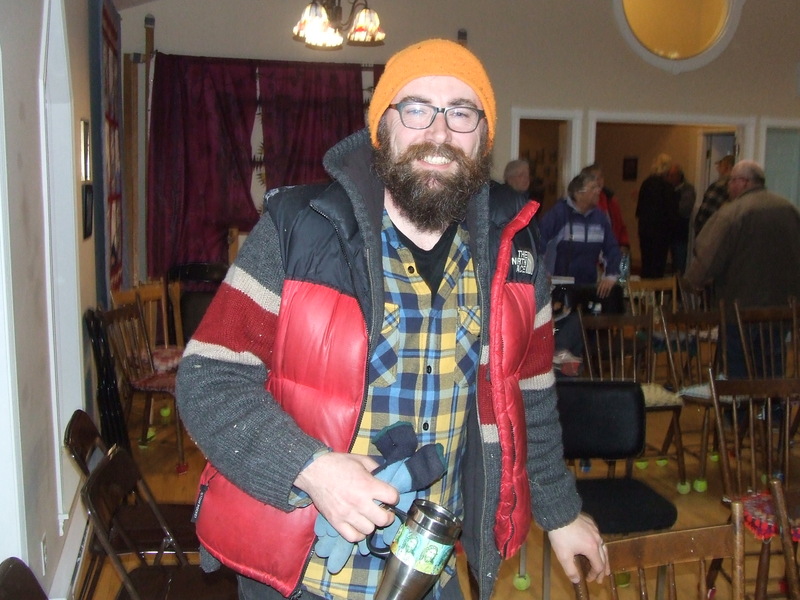 More than 80 people turned out for a meeting Wednesday evening at St. Ann’s Church Hall in Westcock, where residents heard details about a rock quarry that Bowser Construction of Sackville wants to operate off British Settlement Road. 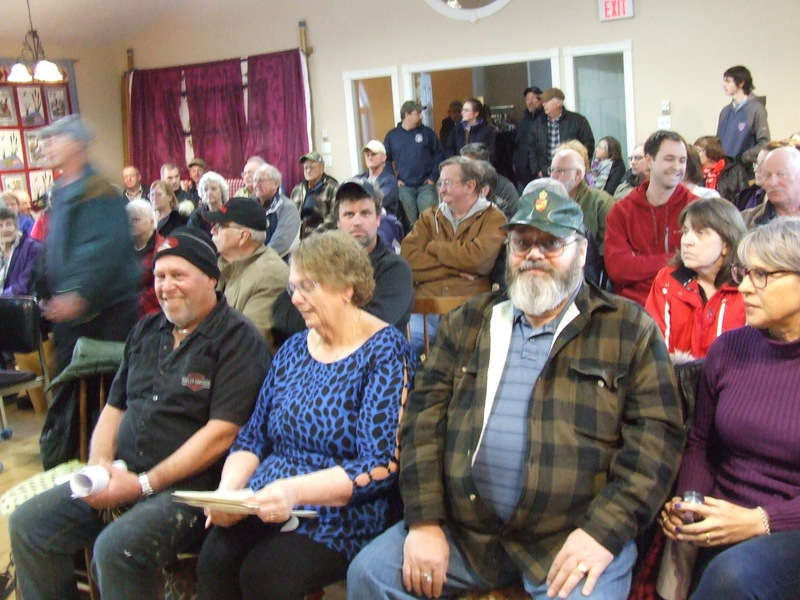 Everyone who spoke at the meeting expressed strong opposition to the quarry. “It’s nice to see so many people here to show their support,” said Sharon Ward whose home at 221 British Settlement Road is only 25-35 feet from a right-of-way that the company is proposing to use as an access road for the quarry. The quarry itself would be on land that Keith Carter owns a few hundred metres back in the woods. “My husband and I spent 45 years building the equity in our home, which will be gone overnight with the opening of a quarry,” Ward said. “I know that having this quarry and right-of-way so close to my home will have a very detrimental effect on my way of life and that of my children and grandchildren,” she added. 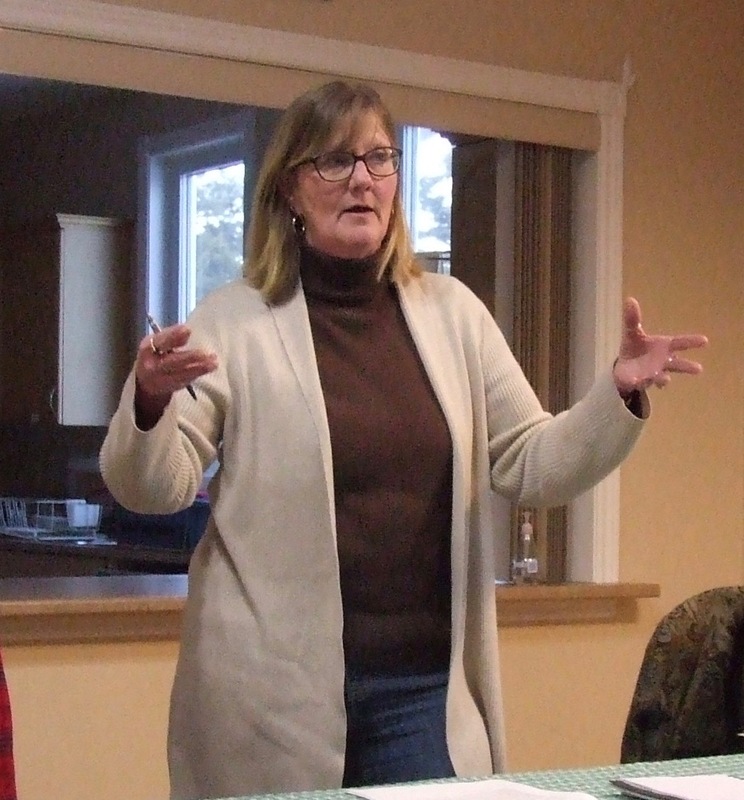 Ward said that she was not notified of the January 23rd hearing during which the Southeast Planning Review and Adjustment Committee gave conditional approval to the new quarry. She added that when someone put survey tape around trees on her property in late February, she telephoned the Regional Service Commission and was told authorities had no obligation to notify her because her home would be more than 100 metres from the quarry. “When I asked for information and tried to explain that we were right next to the right-of-way, I was informed that it was none of my concern,” Ward said, adding she was told that if she didn’t agree, she should hire a lawyer and launch a civil suit. Ward said she has been talking to a lawyer and is considering appealing approval of the new quarry to the New Brunswick Assessment and Planning Appeal Board. Under the Community Planning Act, such an appeal must be launched within 10 days of a development permit being issued. However, planner Tracey Wade said yesterday that no permit has been issued because Bowser Construction has not yet met the conditions imposed by the committee. For a list of those conditions, click here. Meantime, a group called the Sackville Parish Local Service District Advisory Committee is helping organize opposition to the quarry. Cheryl Ward, who spoke for the group last night, said they’re concerned about how the proposed quarry would affect wells in the area. However, Ward said that so far, her committee hasn’t been able to find the study or determine when it was done. 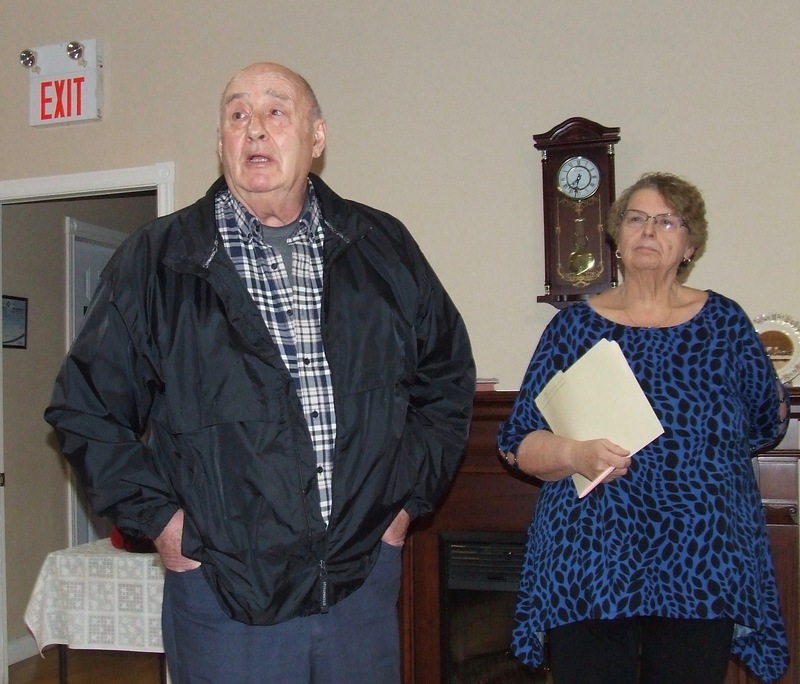 She said the group is also seeking answers from the provincial department of transportation about whether Bowser Construction can be given approval to use a right-of-way that is only 20 feet wide even though planning documents show its width as 20 metres. Garry Goodwin, who owns land the right-of-way crosses, told the meeting his deed clearly shows it’s only 20 feet wide which means that if the quarry goes through, big trucks would be rumbling within 50 feet of his home. He told the meeting the planning committee doesn’t have a clue about a residential area with children playing near where big trucks would be hauling rocks. “For a bunch of jokers to sit up there around the table in Moncton and make decisions on a rock quarry down here, they’re idiots,” he said. “They’re making decisions on the value of our homes and our way of life down here,” he said. 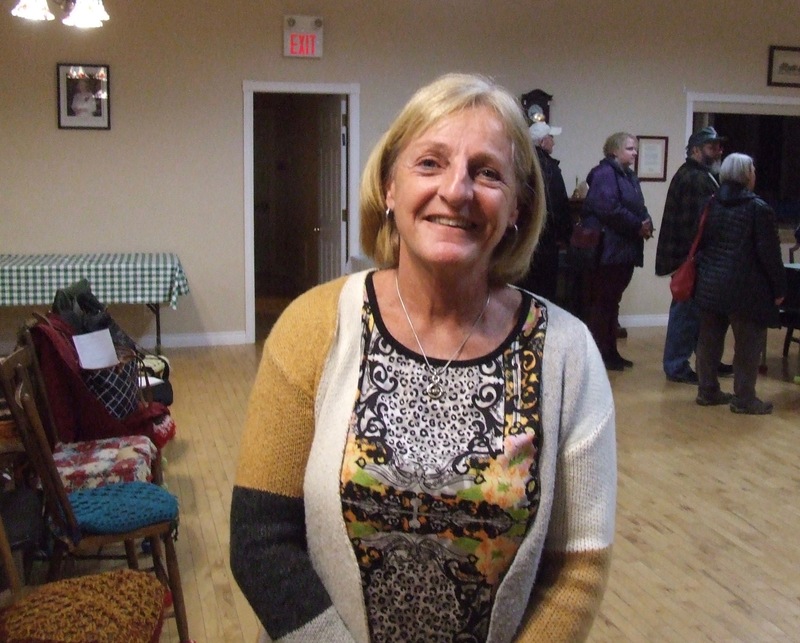 Margaret Hicks was one of several residents at the meeting who complained about damage from blasting at an existing quarry near St. Ann’s Church that has been operating for decades. She added that at first, the company operating the quarry repeatedly denied responsibility. “Eventually, they did fix it, but it was a racket to get anything done,” she said, adding she also had to replace all the windows in her home. Barb Kaye, who lives across the road from the right-of-way on Garry Goodwin’s property, said her well collapsed requiring her to put a new one in last September. Kaye said she’s especially worried since the proposed new quarry would be much closer to her home than the existing one. During the meeting, John Haney, who lives on Rte. 935 in Wood Point, called on everyone to write letters to politicians opposing the new quarry. He said later, he would be writing letters himself. “It feels to me as though this peninsula is under siege in terms of resource extraction,” Haney added. Haney said while he’s a long way from the proposed quarry, he does worry about effects on groundwater, which doesn’t pay attention to property lines. He added that there’s so much shale and sandstone in the area, there’s no need to put another quarry near people’s homes. He suggested that too often, politicians bend over backwards to help private companies without observing proper safeguards and procedures. This entry was posted in Environment, Nova Scotia Government and tagged Barb Kaye, Bowser Construction, Cheryl Ward, Garry Goodwin, John Haney, Sharon Ward, Tracey Wade. Bookmark the permalink. A great report – thanks Bruce. Where are the environmentalists when we need them? The ones on Council, too? Sadly, I wouldn’t put too much faith in the APAB, from what I’ve seen of it. Sad. A very scary thought occurred to me today as I was driving down the British Settlement Hill. From the proposed pit exit, this road is certainly a VERY steep and long hill to descend with fully loaded dump trucks. If a trucks brakes ever failed, or if road conditions conditions were icy, then with the tight 90 degree corner at the bottom of the hill it would probably result in a truck plowing through the St Ann’s Church and the Hall. Check it out!